This is the summary of consumer reviews for DeLonghi TRD0715T Safeheat 1500W Portable Oil-Filled Radiator with Vertical Thermal Tunnels. The BoolPool rating for this product is Good, with 4.00 stars, and the price range is $65.49-$104.76. 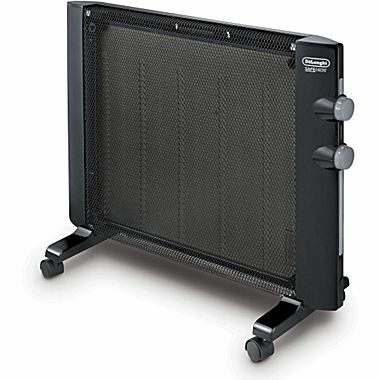 DeLonghi Safeheat 1500W Portable Oil-Filled Radiator with Vertical Thermal Tunnel is engineered to maximize radiant heat flow while maintaining a low surface temperature. The unit is permanently sealed with pure diathermic oil for stable and efficient heating, thus never needs refilling. It provides noiseless operation and anti-freeze setting with adjustable thermostat that helps maintain desired heat temperature. The heater comes with three variable heat settings to optimize energy-efficient operation. Some other features includes - user-friendly control panel with 24-hour programmable timer, thermal cut-off/auto shut-off, rust-resistant, durable metal construction, fully enclosed heating elements and gently rounded design. 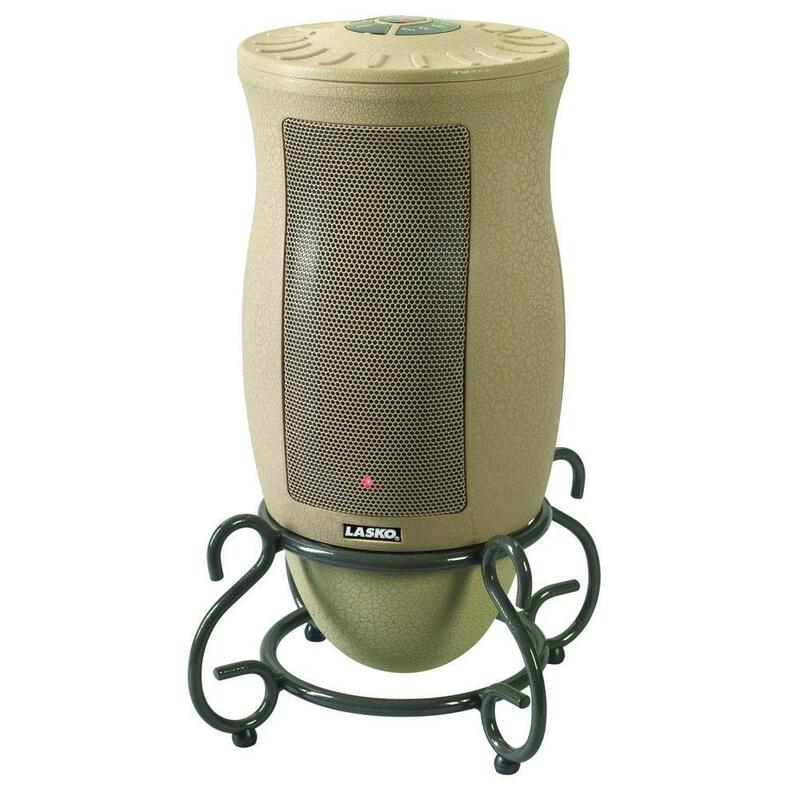 This heater comes with patented pre-assembled/pre-mounted wheels to ensure safety and stability. 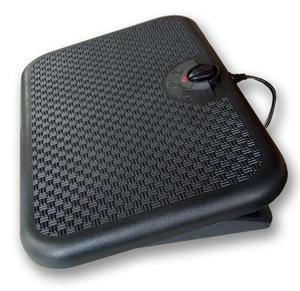 It also comes with wrap-around cord design, which makes storing the cord easy when heater is not in use. However, this heater is heavy in weight and does not produce desired heat and warmth as per some users. It takes longer time to heat the room, as it is a radiator but not a blower type heater. The unit radiates the heat upwards and is not effective, as it does not radiate heat all around the room. Also, some users faced issues with leaking oil or malfunctioning units. Overall, the DeLonghi Safeheat 1500W Portable Oil-Filled Radiator with Vertical Thermal Tunnel is a recommended heater for small to medium sized rooms. They effectively and efficiently heat room while saving on electricity bills. The safety features along with affordable price, makes it a desirable heater to own. This product works well in a small room. Product worked exactly as specified. This product worked great for about six weeks. My first review of any product. It worked fine, heated a 12x15 small living room very well. So I agree with many of the reviews here: it works fine when it works, but I don't trust it to work reliably. The product is good, but only if you get one that works. The heater and timer work as expected, however, I've had this heater for four months and it's been leaking oil on my floor for the past few weeks. The first one I received didn't work at all. I bought three to get one that works. This heater doesn't keep you very warm. This heater gives very warm heat and my electric bill was reasonable. This heater gives excellent heat. We live in a little cabin with no insulation, and this heater has no problems keeping our bedroom warm. Firstly, oil-filled heaters are great for their efficiency compared to simple electric heaters. After 3 months, it started to turn the cord and outlet really warm. On a day when my heating system went out and the temperature outside was in single digits, this heater kept my very large bedroom (340 sq ft) nice and warm. Radiant heaters take longer to warm up, but they don't dry out the air. Most portable heaters had timer shutoffs but required you to first turn them on. The timer feature is very useful. This product could be dramatically improved with a digital thermostat and timer. I saw reviews saying that timer can cause noise, but this noise isn't coming from the timer and I've no problem with the timer noise at all. The timer function is great. BUT IT DOES PUMP OUT HEAT VERY EFFECTIVELY AND THE TIMER IS SIMPLE TO USE. First, the good: nice size, very good heat production for a medium-sized room with reasonably good insulation and normal ceiling height, not noisy. Used the timer, not sure if that was the problem. I've been through several types of heating options (such as fan heaters), but finally found the one that works well. Very nice product, gives uniform heat and not noisy at all. BUT, this unit only radiates the heat upwards. 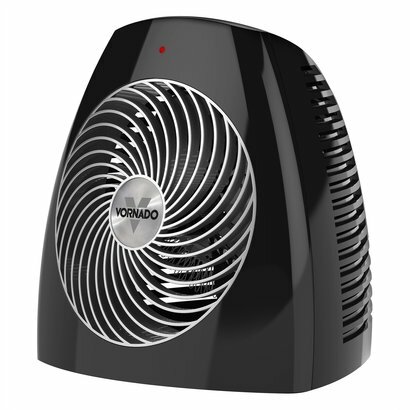 We bought model TRD0715TL, it heats both rooms like a champ. We bought this heater last year to supplement the heat in a room that's normally a bit chilly even when the main heat for the house was turned on. This unit doesn't heat as effectively as our other conventional Delonghi in our living room, because it doesn't radiate the heat all around. I bought two of these units to take the place of my forced air heating system. 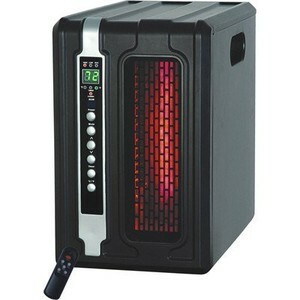 ~~The unit does take a while to heat the room because it's a radiator, not a blower type heater. The unit caught fire last night. That was after giving the unit thirty minutes to heat up. This heater sort of heated the room and was used for an hour. After reading the reviews posted for the Delonghi TRD0715T, I decided to order this heater. 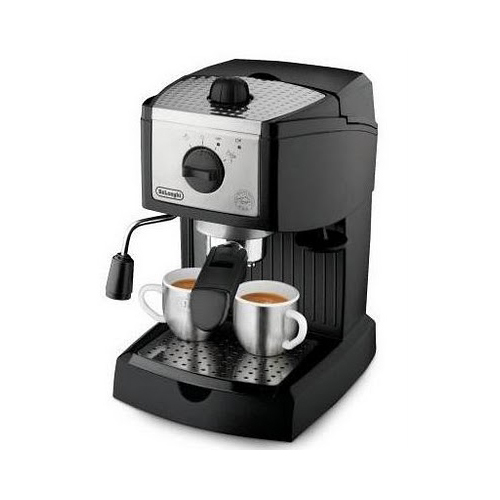 The Delonghi uniformally heats the room unlike radiant heaters and forced air heaters. Room temperature has little effect on the heater's output, requiring fiddling several times a day to avoid too much or too little heat. The timer works well, and the heater does an excellent job of cranking out quiet heat and quickly warming the room. Gonna place a fan blasting cold air at this heater to see if that'll speed up the room heating process. It boasts vertical hot air tunnels to maximize radiant heat flow while maintaining a low surface temperature. Have to return this item after few day of using it, take forever to heat the room at 1500kw, bought new ceramic tower heater from Delonghi, little noise but outstanding job, heat the same room in just few minutes. This MAY NOT be enough heat large living rooms or basements. Those rooms may require larger and more powerful units to heat. I needed a heater that wouldn't send my electric bill skyrocketing and by keeping the room at a comfortable constant temperature without getting it too hot or dry. Homles heater can raise a small bedroom temperature by 3F, and the embedded thermostat always show 85F(the max it can show) when the heater itself is heated up, while room temp isn't raised yet. 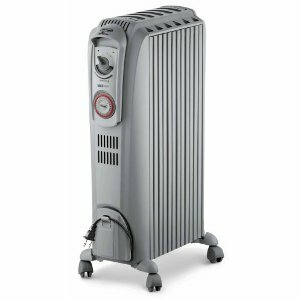 PROS: This oil filled heater is clean, energy efficient, safe, and works well at heating small to medium sized rooms. I doubt this heater could heat a room half that size. Bought this heater to replace our current heater, old and noisy. Energy efficiency is limited to use as a space heater in smaller to medium sized rooms or very well insulated larger rooms. 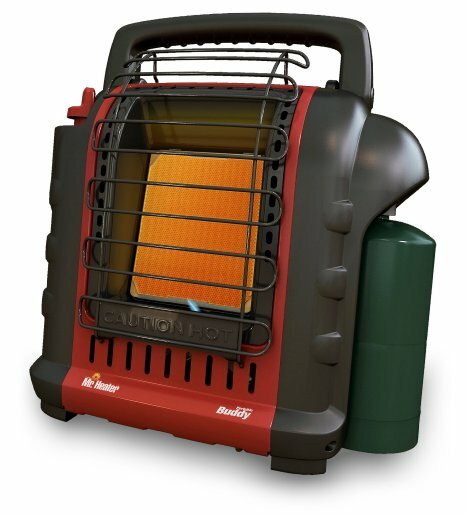 THE BOTTOM LINE: This "Dragon model" TRD0715T safe heat oil filled heat radiator is the best room space heater I've ever used. Put heater in center of room. This heater can certainly heat. This heater worked quite well for 3 months. 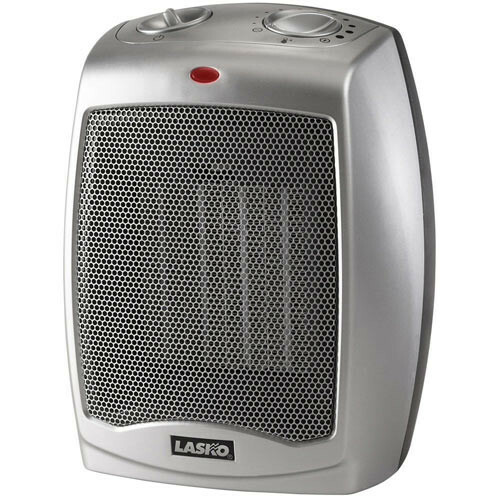 It heats my small room quite adequately, and does a better job than the forced-air ceramic heater with digital thermostat that I'd before. These devices are very efficient compared to the other electric heaters and many people use them as very efficient room space heaters and they're able to turn down their central air systems to save on gas or electricity.